On the 21st November, the CODUR team gathered in Barcelona for an extraordinary Meeting. 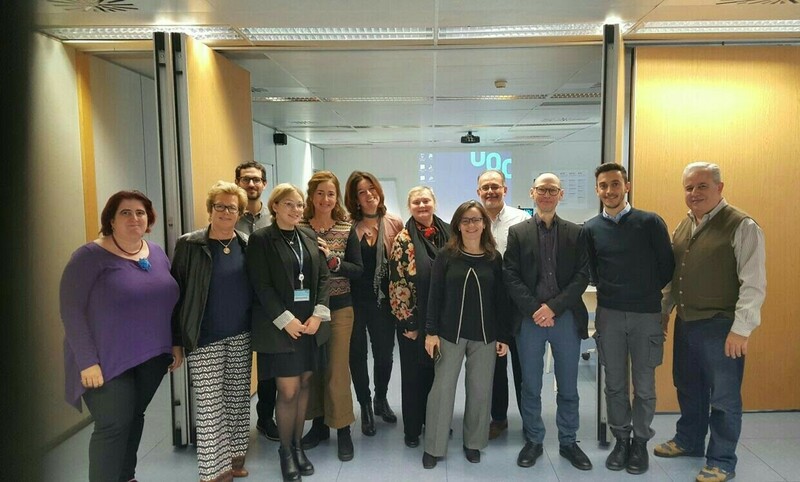 The UOC team, taking advantage of the International seminar on Evidence-based research: methodological approaches and practical outcomes. Insights for Online Education, invited the Open University (UK) and the Consiglio Nazionale della Ricerca – Istituto delle Tecnologie Didattiche (Italy) partners to discuss the preliminary CODUR indicators elaborated during the first project year and plan the activities of the Intellectual Output 2 and the steps to be done along 2018. The second part of the meeting, which gave it the extraordinary value involved the participation, through invitation, of the responsibles of the ranking U-Multirank and Fundación CyD. During the meeting, the debate was centred on how presenting and coupling the research done by the CODUR team with the rankings System creating an online dimension. The CODUR team is currently working on the second round of Delphi study and is ready to start the activities of the Intellectual Output IO2.